Lord of the Rings: The Battle for Middle Earth 2 has arrived on the XBox 360 that features exclusive high-definition content for this power console. The title revolves around a nexus of events from the Third Age where Sauron's forces have spilled into the northern parts of Middle Earth. While his forces attacked the people of Minan and Rohan, another force challenged the very lands of the elves and dwarves in truly epic proportions with over 16 different missions. 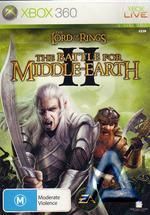 In its basic essence, Lord of the Rings: The Battle for Middle Earth 2 is a real-time strategy that has the player controlling a wide aspects of the Middle Earth universe from protecting their citizens, amassing huge armies and creating a plethora of buildings through resource collecting. There are also dozens of different units the player can create (depending on which side they playing) that also gives a nod to Peter Jackson's masterpiece. The Middle-earth you have never seen brought to life on the Xbox 360! The unification of the book and film rights have unlocked a world of Middle-earth – new races, places, heroes, and battles from the books and films are yours to command. Directly control and manage hundreds of units and engage in intense, action-packed real-time battles. The control system of Battle for Middle Earth 2 is rather self-explanatory, although a little tricky at the best of times with the XBox 360 controller. With that said, this game has come from the PC with its two main input devices, the keyboard and the mouse which are unfortunately absent on the console. Although EA have done a wonderful job at recreating the mouse controls on the controller, it does become a little difficult, especially on the missions towards the middle and end of the game because a point and click interface would have been easier than an analog stick and various buttons. The game features exclusive new multiplayer games including King of the Hill, Capture and Hold, and Hero versus Hero. First The Lord of the Rings strategy game for any console system and first game in The Lord of the Rings series for the Xbox 360. New and intuitive console-specific control scheme that makes it possible to experience and enjoy the strategy genre on the Xbox 360. Customize fortresses or choose to build anywhere! Craft your own landmark castle and create signature units including naval ships or Elven and Dwarven heroes. Weaving offers the games overarching tone by guiding players in and out of each good and evil mission within the single player campaigns. 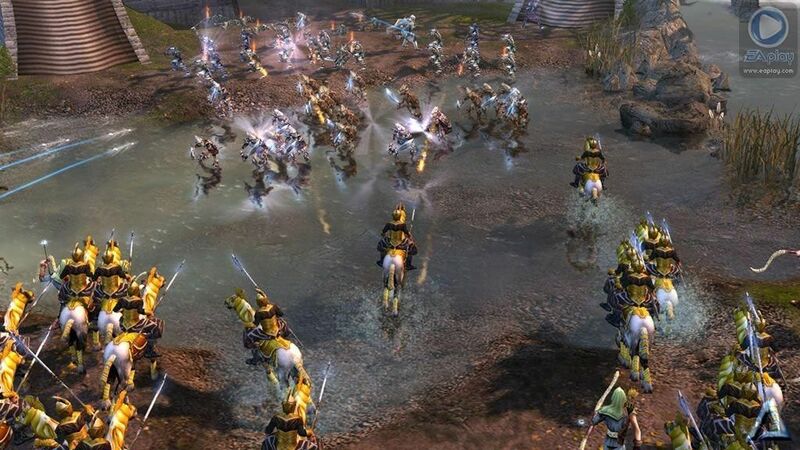 Graphically, Battle for Middle Earth 2 is a visual treat on the XBox 360 that simply looks amazing on our 106cm Plasma TV. 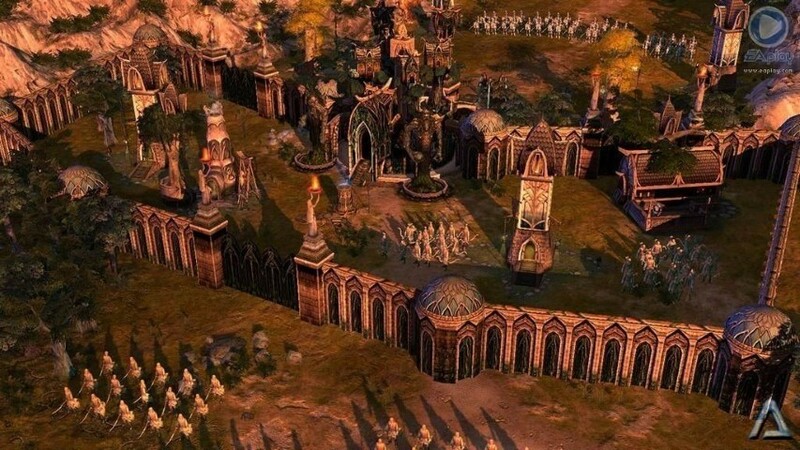 The background environments have been professionally designed to create the various lands of Middle Earth and all characters move with a humanlike grace and sometimes orclike grace that assists in the escapism of the title. There are also a variety of special effects in the game from realistic lighting, reflective surfaces and some amazingly beautiful spell and fire effects that almost makes you feel like you are Peter Jackson directing the next Lord of the Rings feature film. The only downside to the graphics are the shadows of the title that appear like LEGO and sometimes the framerates that unfortunately become a little jagged, especially when the screen begins to fill with dozens and dozens of characters. Even on a 106cm Plasma TV, it is unfortunately a little hard to see the game map on the bottom left hand corner of the screen, although this can easily be rectified by moving closer to the TV but that does defy the point somewhat. As with the graphics, the sound effects and musical score of Battle for Middle Earth 2 is sensational and the music has been directly lifted from the three movies that truly inspires you to liberate Middle Earth. The sound effects have also been taken from the trilogy and match that with some professional voice acting and Battle for Middle Earth 2 is truly a unique gaming experience. In conclusion, The Lord of the Rings: Battle for Middle Earth 2 is a great game that unfortunately lands a little short on the XBox 360 because this game was really intended to have a mouse with it which hampers the gameplay and makes it extremely fiddly at the best of times. Graphically, musically and soundwise, the title is top class and EA have once again done an amazing job at recreating the world of J.R.R. Tolkein. Personally I would rather play this title on the PC but if you're a die hard Tolkein fan and with a little bit of training, most adept gamers will be able to master this title with equally impressive XBox 360 controller.